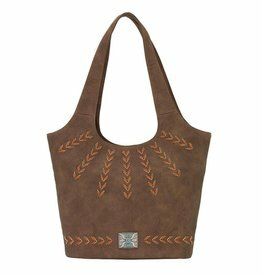 This chocolate colored tote is an essential accessory! 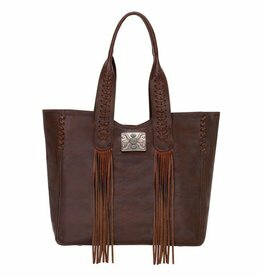 Made from beautiful patinas of hand rubbed genuine leather, the Mohave Canyon tote is the essence of simple sophistication. 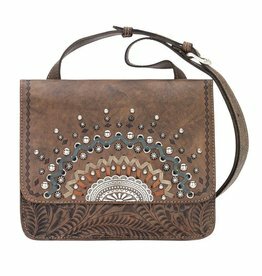 This stylish cross body purse features intricate leather work & multiple compartments.